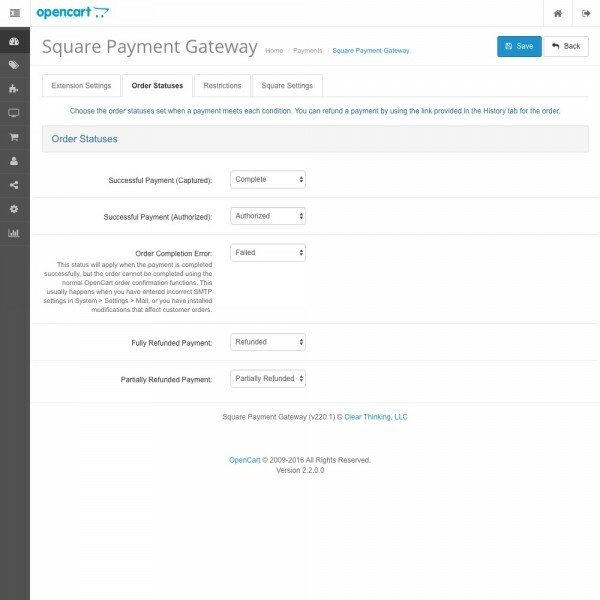 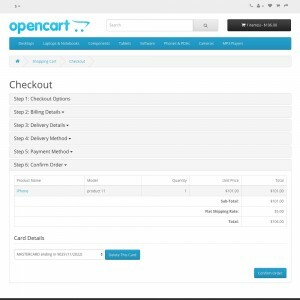 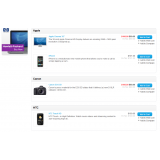 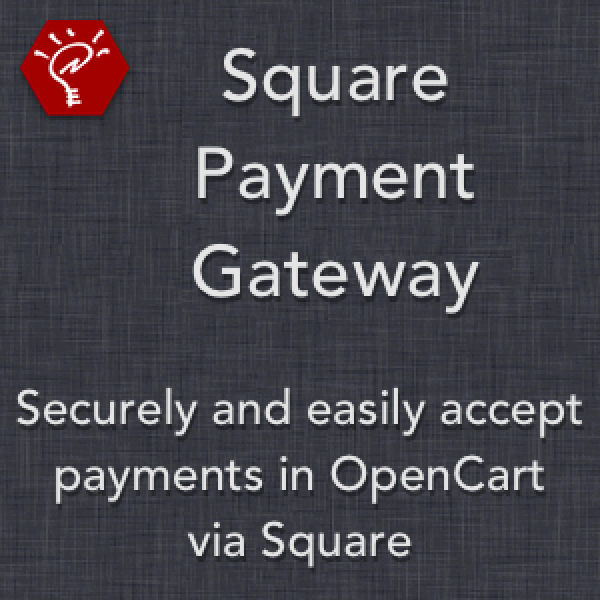 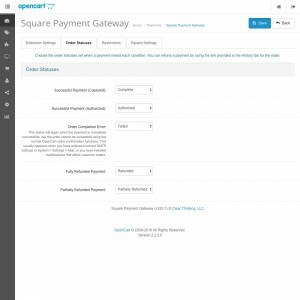 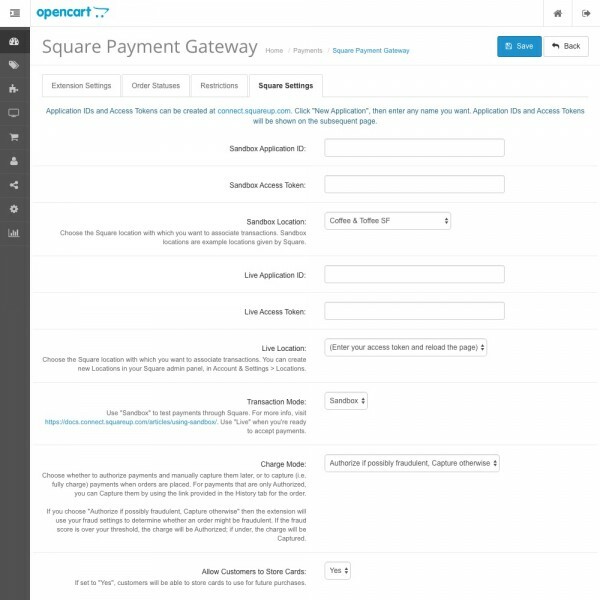 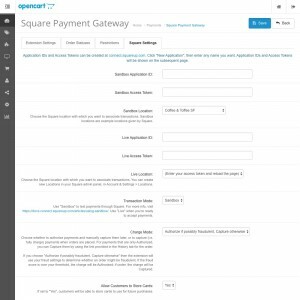 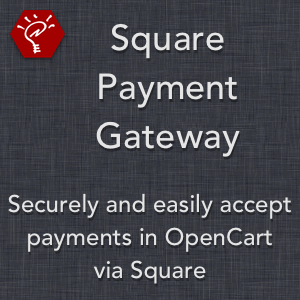 This extension allows you to accept payments in OpenCart via Square (squareup.com), one of the leading payment processors in the industry. 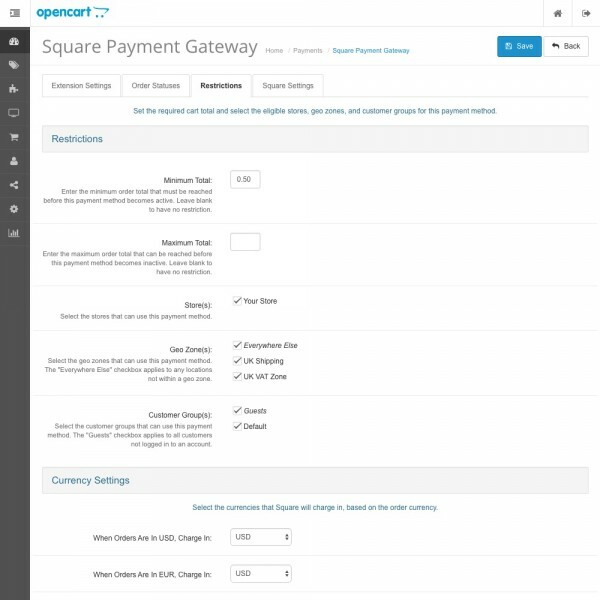 The extension can send customer and card information to your Square account, allowing your customers to utilize their stored card information for future purchases. Modify all front-end text directly in the admin panel. 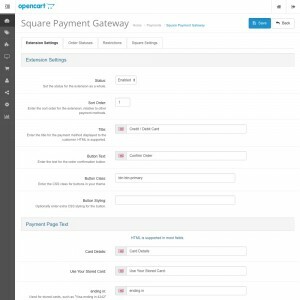 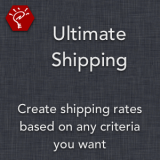 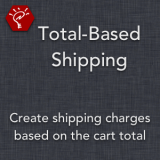 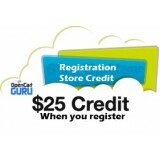 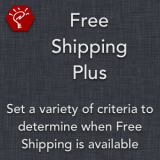 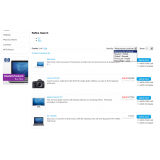 Restrict the payment method based on order total, store, geo zone, customer group, and currency. 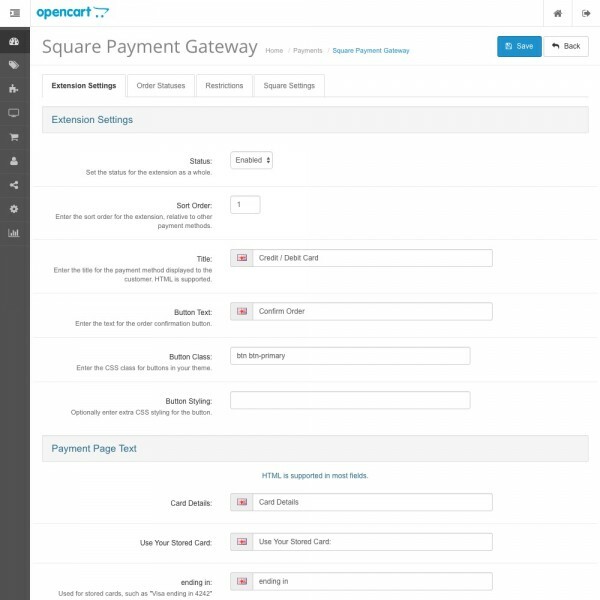 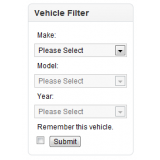 Utilize both Sandbox and Live transaction modes, and Authorize or Capture charge modes. 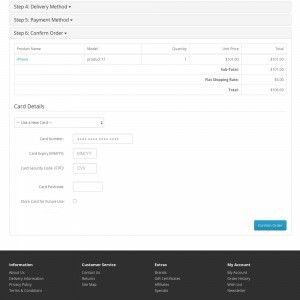 Optionally allow your customers to store their card information for future use. 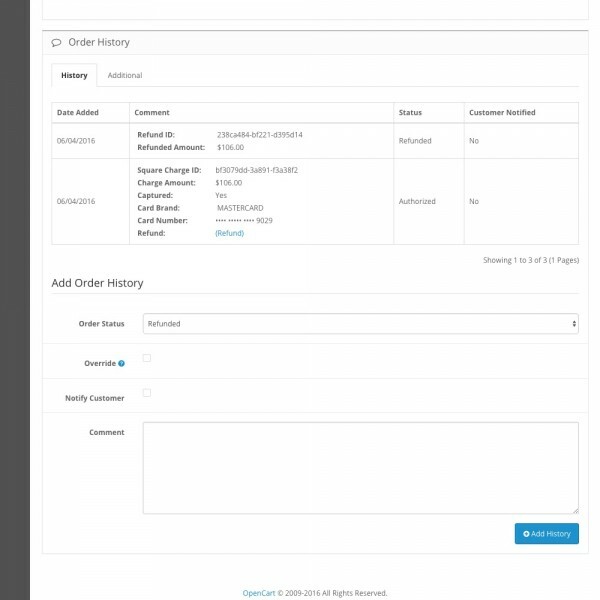 Capture and/or refund orders directly within the admin panel. 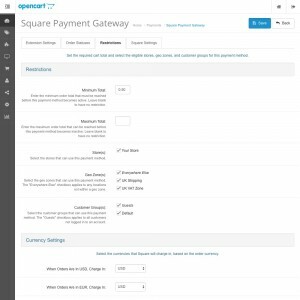 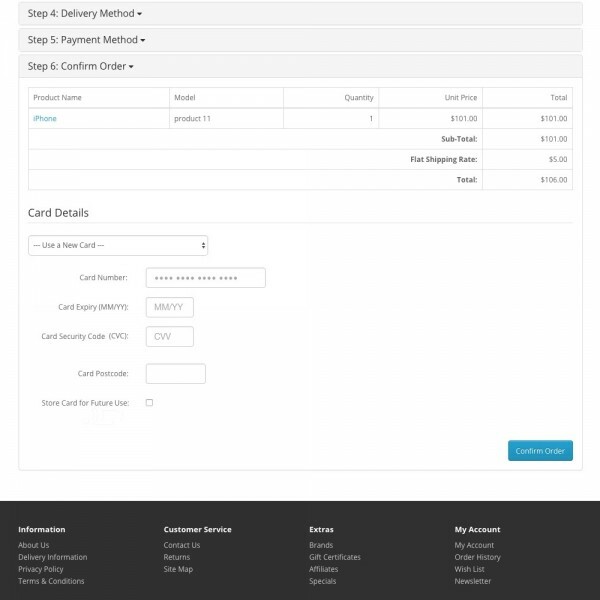 Set a different order status for authorized payments vs. captured payments, as well as for fully and partially refunded orders.